When you visit our Spokane dental office, your smile is Millwood Family Dental’s top priority. Dr. Mark Jensen and his entire team are dedicated to providing you with the personalized, quality dental care that you deserve. For nearly a decade, Dr. Jensen has provided patient-focused care at Millwood Family Dental. If you visit our Spokane office, you'll find a state-of-the-art facility complete with TVs in the operatories and waiting room. Complete your visit with an educational consultation designed to help you decide on the best treatment. 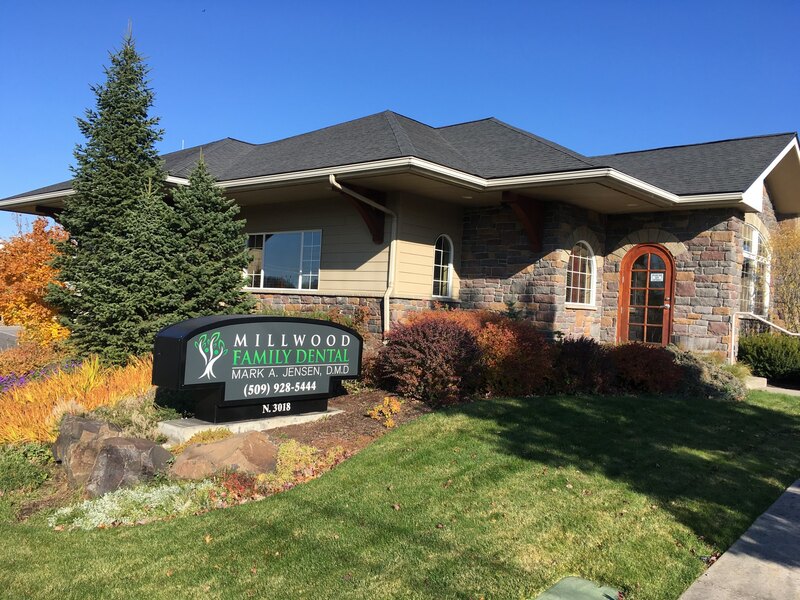 Our Spokane dentist, Dr. Jensen and the staff at Millwood Family Dental want to provide you with all that modern dentistry has to offer, including a comprehensive list of general, restorative, and cosmetic dentistry services to meet the needs of the whole family. If you find yourself becoming nervous at the thought of a visit to the dentist, you can relax; we reach a variety of patients with anxiety. We are fully equipped for nitrous and oral conscious sedation dentistry. We even have a dedicated pediatric operatory to make your children feel more comfortable. Our goal is to assist each patient in achieving and maintaining long term dental health so that they can show off their smile! To see what our patients are saying about Millwood Family Dental, click here. New patients can visit our patient information pages to learn about our Spokane dentist, appointments, and payment options, as well as find answers to frequently asked questions, download patient forms, and more. Part of our commitment to serving our patients includes providing information that helps them make informed decisions about their oral health needs. This website is a resource we hope you’ll find both useful and interesting. Please browse through our website and be sure to contact Dr. Jensen if you have any questions or would like to schedule an appointment. You may also use our online appointment request form to schedule your appointment with our Spokane dentist. Spokane Dentist, Dr. Mark Jensen provides cosmetic, family, and sedation dentistry including cleanings, veneers, and teeth whitening at our Spokane, Washington dental office.